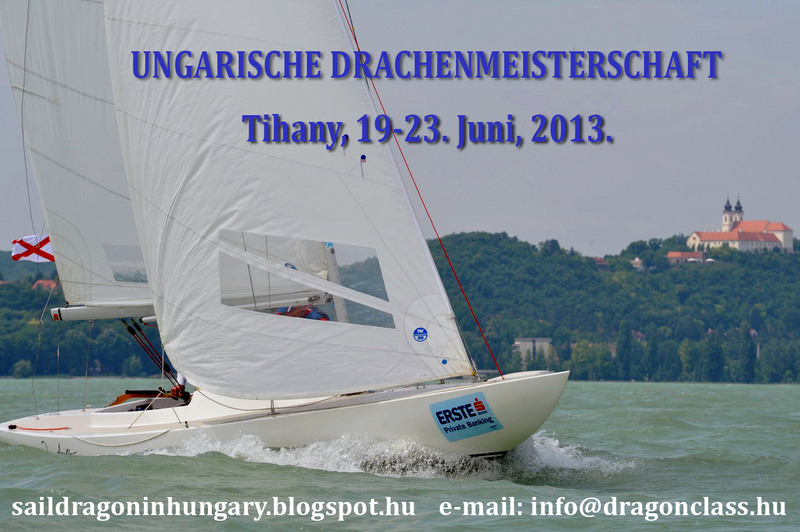 The most important events, regattas and people in Dragon Sailing in Hungary. 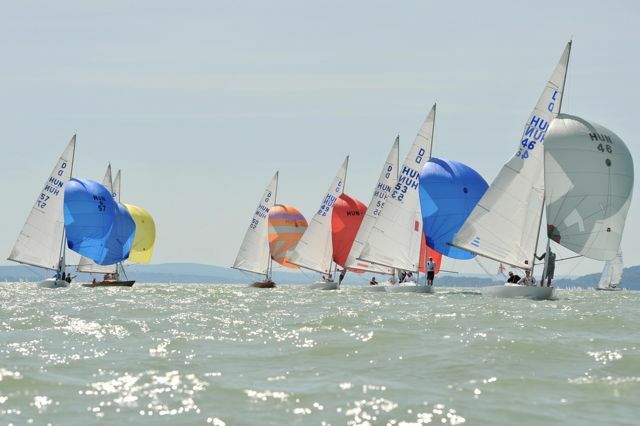 As you might know, the Europeans in 2018 will be held on Lake Balaton, Hungary. The yacht club BYC in Balatonfüred offers a perfect venue and has a lot of experience in organizing major events, just like the Laser Worlds or the J24 Europeans. Furthermore, the town Balatonfüred with its nice 19th century buildings, plenty of hotels, cafés, restaurants and the fantastic wines of the area is a place tailor-made for Dragon events. The Hungarian Dragon Association has already started a close cooperation with the town, the club and the Hungarian Sailing Association to make a perfect regatta. The warm-up event, the Hungarian Dragon Championship will be held right before the Europeans, offering you an opportunity to sail here about 10 days throughout late May/early June. We would like to invite all of you to try and sail here, experience wind and weather conditions even a year before. The Hungarian Championship in 2017 will be a test event, same date, same place – it could be worth planning it into your next year’s calendar. In 2016 we concentrate our events on two months. There will be two events in May as a warm-up before the Hungarian Championship, held in Tihany, the most spectacular part of Balaton. You are welcome to any or all of the races – between the regattas your boats can be left securely in the organizing clubs absolutely free. The second part of the season in Hungary is in September, when the Johan Anker Cup will be held in Balatonkenese, the venue of the 2010 Dragon Europeans. The autumn always brings stable and nice winds, and Balatonkenese offers a perfect accommodation: a hotel right in the marina. Hungary is not very far from Germany, Austria, Switzerland, Italy or the Southern part of France: so if you have not decided your Dragon plans for this year, we are looking forward to your participation at any of the regattas. If you need any help to find accommodation or any other question, we are here to help you. Good wind for the whole season! Lake Balaton displays its best moments in the month of May. The water is getting warmer, we have the first signs of the summer, however, usually we have wind enough to sail the Hungarian Dragon Championship with seven of eight races out of a maximum of nine. 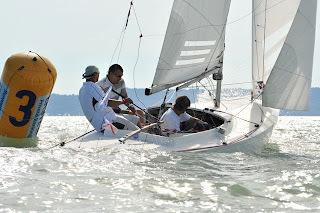 This year will be no other: Balatonfüred, the center of Hungarian sailing sport is calling for Hungarian and foreign ‘Dragonists’ to enjoy the nice feeling to sail with friends in a competitive field. Last year IDA Vice-Chairman Reemt Reemtsma and his team brought home, the Sonnenschein Cup, the prize for the winner of the international Dragon event, but this year they have to sail again to defend their title against their fellow-sailsmen from Austria, Germany and Hungary. Hotels very close to the harbor of our host, MVM SE, are available in the town, and the Hungarian Dragon Association is offering help to anyone looking for accomodation. According to the plans the first warning signal will be made on Thursday aftnernoon and the last possible starting time is 13.05 on Sunday. Those who would like to sail more on Balaton, we have to warm-up regattas: on May 1-3 and on May 8-9, both in Balatonfüred. Any Dragons can stay in a closed club between the events. Here you find the Notice of Race. If you have any questions pls. email us. Balatonfüred, the most beautiful town on Lake Balaton, Hungary, is looking forward to greeting international Dragon sailors at the end of May this year. 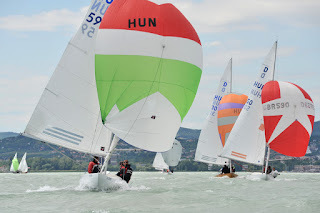 Two adjacent local clubs, Balatonfüred Yacht Club and Hungaria Yacht Club are jointly hosting the Hungarian Dragon Championships this year, which will be taking place in the waters off Balatonfüred, with excellent views on the Tihany peninsula and the mountains on the Northern shoreline of Balaton. This venue often proved to be the place for excellent regattas: it hosted the Laser Worlds last year and will host the Melges 24 European Championship in the early days of May. The Hungarian field of Dragons is small but enthusiastic - in the Championships usually about five international competitors complete the range of some 20 Hungarian Dragons. There will be a fierce competition for the title between the best Hungarian helmsmen: Ferenc Kis-Szölgyémi, 4th at the World Championship in Weymout last year, and Lóránd Gömbös, the current champion. The regatta is starting on May 28th, Wednesday, with registration and technical checks. Nine races are planned, the first start is scheduled for Thursday, 14.00 hours. The regatta courses are close to the harbor: it takes not more than 20 minutes to get to the starting area. Early days of June are generally among the most windy days on Balaton, participants can rely on a Southerly thermic wind in high pressure days which results in a wonderful sailing in ‘T-shirt’ conditions in winds of 12-16 knots. In low pressure days a gusting North-Westerly wind produces ‘Dragon conditions’ with a wind varying from 15 to 25 knots. In perfect conditions maximum 3 one-hour races on upwind-downwind courses with an upwind finish are planned. Nice ‘apres-sail’ programs with wine-tasting and and free beer are completing the daily program directly in the harbor, and Saturday evening there will be a Dragon party together with our sponsors in a close restaurant. The town of Balatonfüred offers excellent opportunities for Dragon-spouses to make shoppings, walk around downtown, enjoy Hungarian cuisine or just simply have fun at the lakeside with sun, water and weather. Young crewmembers will find their bars and clubs in the nightlife very soon. If some boats arrive earlier, we are planning trainings on Monday and Tuesday before the regatta. There are excellent accomodation possibilities within walking distance from the yacht clubs. We suggest Hotel Flamingo or Hotel Silver which can be booked here or here . You might find some useful information on the website of Balatonfüred here. Pls. find here the preliminary Notice of Race. For further information pls. contact Vilmos Naray, Chairman of the Hungarian Dragon Association. Seit Jahren bildet die Ungarische Flottenmeisterschaft den zweiten Höhepunkt der Saison. Die Regatta, wo die etwa15 ungarischen Boote für den Johan Anker Cup um die Wette segeln, wird traditionell im September, einem der schönsten Segel-Monate am Balaton abgehalten. Heuer sind wir Gäste des Yacht Clubs in Csopak, einem kleinen aber sehr netten Ort in der Nähe von Balatonfüred am Nordufer des Plattensees. Generell rechnet man für den Zeitpunkt der Regatta mit mäßigen aber stetigen Herbstwinden, die die letzte Regatta Jahr für Jahr unvergeßlich machen. Das Programm sieht Registrierung am Freitag vormittag mit einem ersten Start um 14.00 Uhr vor. Geplant sind bis Sonntag 13.00 Uhr sieben Wettfahrten. Samstag abend planen wir einen Grillabend im Clubhaus, wo man auch alle Erfahrungen austauschen kann. The Hungarian Dragon Championship is starting with Austrian and German participation on Thursday, in Tihany, on Lake Balaton. The organizers plan 9 races until Sunday, however, the weather forecast says there will be moderate winds for the 18 to 20 Dragons. The yacht club THE which hosts the Hungarian National Championship for the second time, might be the most beautiful venue at Lake Balaton, where races are held in forint of the Tihany peninsula with a characteristic monastery on the top of the hill. “We have the possibility to go on either side of the peninsula if the wind seems to be more stable there” Vilmos Naray, Chairman of the Hungarian Dragon Association says about the venue. It is difficult to say who can be the best in the expected light winds. One of them might be Ferenc Kis-Szölgyémi and his crew who have colleced a lot of experience in international fields recently, however, they prefer more wind. Thomas Puxkandl and his Austrian boat as well as the German Jakob Bergbauer has a lot of lake experience in sailing in light winds, too, which might result in a fierce competition for the top positions. The winner can bring home the Sonnenschein Cup, a silver plate, where the names Andreas Haubold and Vincent Hoesch can be read a lot of times. The Cup received its name after the Dragon of Mr Sandor Kecskes, a Hungarian Dragon sailor from Berlin, Germany, who made a lot of efforts to revive Dragon sailing in Hungary in the 90s. The regatta is, as always, not over at the finish line, the organizers plan a lot of social programs. There will be a Wine Evening with the wines of the Bujdoso winery from the Balaton region and a Dragon Dinner, where the guests of the main sponsor Erste Private Banking are joining the sailors. The regatta is co-sponsored by Mitsubishi and Subaru Hungary as well as the Hungarian webshop, SailingBooks.hu, which both offered special prizes to the field. The Hungarian Championship is taking place from June 19 to June 23 in Tihany, Lake Balaton this year. The venue is probably the most beautiful place on the Lake. We will sail in front of the Tihany Monastery on the Tihany Penisula which divides Balaton into two bassins. We are looking forward to welcoming our friends from abroad by a perfect race, rich program and friendly social events. First race is planned on Thursday, the last possible start time is Sunday, 13.00 hours. All in all 9 races will be sailed. The variation of thermic and front wind makes regattas very exciting this time of the year. Arriving on Wednesday night, you have time to rig and crane your boat on Thursday morning. After nine races you can be at home Sunday night. We plan some informal get-togethers with free beer and Fröccs (Wine and Soda) after the races as well as a Dragon Party on Saturday. If you plan to come to Hungary, we can help you find an adequate accommodation close to the harbor. The Notice of Race for the 2013 Hungarian Championship is now available here. If you need further information, just ask us! We are looking forward to seeing you in Hungary. Für unsere deutsche Segelfreunde möchte ich einmal die wichtigsten Informationen über die ungarische Drachenmeisterschaft zusammenfassen. Wir würden uns auf Eure Teilnahme sehr freuen! Die ungarische Meisterschaft findet heuer in Thany, im Yachtclub THE vom 19. bis 23 Juni statt, wobei am Mittwoch, dem 19. Juni noch keine Wettfahrten veranstaltet werden. Wir würden uns auf Eure Teilnahme sehr freuen, man rechnet mit etwa 15 ungarischen Booten. Der Ort ist vielleicht einer der schönsten Orte am Balaton, leicht von Balatonfüred zu erreichen. Vom Attersee mit dem Trailer bist Du in etwa 7 Stunden in Tihany. Es gibt auch eine Pre-Regatta, am 8-9. Juni, auch in Tihany. Sie könnte für Euch auch interessant sein, für die Zwischenzeit kénnt ihr das Boot am Trailer im THE lassen. Wir planen für die Meisterschaft 9 Wettfahrten, erste Wettfahrt ist Donnerstag 14 Uhr, maximal veranstalten wir 3 Wettfahrten an einem Tag. Vor zwei Jahren hatten wir die Meisterschaft bereits hier, wir hatten jede Windstärke zwischen 1 und 6 Bft, und insgesamt 7 Wettfahrten. Die Wettfahrten sind generell um 10 Uhr angesetzt, der Kurs ist nahe, Du bist ander Linie in höchstens 2 Minuten. Die letzte Startmöglichkeit ist Sonntag, 13 Uhr. Meldegeld 150 Euro. Eine Ausschreibung in Englisch wird im April fertig. Die Regatta ist sehr schön, es gibt sehr gute Lokale in der Nähe, guter Wein – ein Segelurlaub von 5 Tagen ist es sicher wert. Mitte Juni ist schon Badewetter, man kann mit einer Wassertemperatur von 20 bis 22 Grad rechnen. Ds sind die wichtigsten Infos, Ihr könnt sie vielleicht auch anderen in Österreich weiterleiten. Wir würden uns auf Eure Teilnahme sehr freuen!